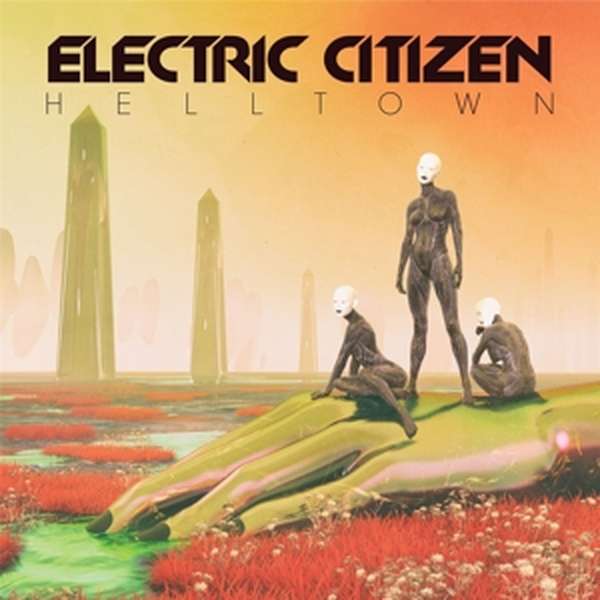 Helltown , the forthcoming third album by Electric Citizen is, in many ways, a homecoming. While the title may seem fittingly metal (if not exceedingly so), it actually has real relevanc: Helltown, while also multidimensional, is named after the Cincinnati, OH, neighborhood in which the band lives, practices, and where the album was written, recorded and mixed. Now known more prosaically as Northside, Helltown earned its name in the 1800s due to its reputation for rowdy taverns frequented by the neighborhood of factory workers and immigrants. As much as this album is an ode to the band's home and its buried past, it also represents a return to the grittier sound of their 2014 debut, Sateen. Furthermore, it marks the return of original bassist Nick Vogelpohl, who rejoins vocalist Laura Dolan, guitarist Ross Dolan and drummer Nate Wagner. It's a fun, tough, dirty rock 'n' roll album.The band's 2016 album Higher Time was an expansive and somewhat cleaner effort mixed by Black Keys engineer Collin Dupuis . It was a landmark moment for the band earning considerable press praise- Consequence Of Sound named it in the 20 Most Anticipated Albums of 2016 with "the most breakout potential of all the young bands on this list." And, the band's endless touring since the first album earned them stints opening for acts like Pentagram, The Crazy World of Arthur Brown, Fu Manchu, Budos Band, and Wolfmother. What sets Electric Citizen apart from contemporary heavy counterparts is their songwriting. The band writes concise, three-minute, heavy rock songs. While others might now be following suit, when they started, most bands of their ilk were content writing drawn-out slow doom dirges. Regardless, none can deliver quite like Electric Citizen: Laura Dolan's captivating star-power, Ross Dolan's perfect tone and riffs, Wagner's pugilistic and swinging beats, glued together by Vogelpohl's gliding bass lines.